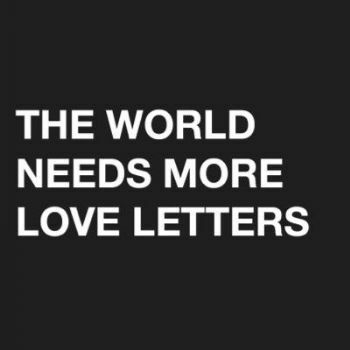 The World Needs More Love Letters is a global organization using the power behind social media to write and mail letters to strangers all over the world. 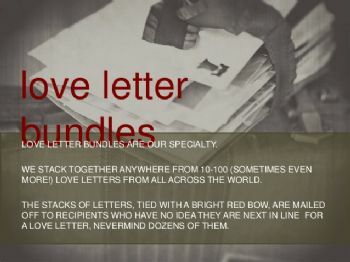 Not-For-Profit and completely mission-driven, we let anyone nominate someone in need of a Love Letter Bundle. We pick stories that resonate. You get the chance to write a letter and mail it in. The task is small but the impact is greater than you can imagine. 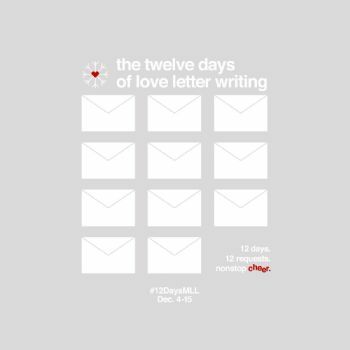 We are officially in the holiday spirit and today is Day 1 of the 12 Days of Love Letter Writing! Come along with us, read the letter request below, and drop a letter in the mail to Chris before December 20th! Need some tips on writing letters? We've got them for you! “Chris was born with a severe medical condition that has resulted in many surgeries and repeated hospitalizations over his lifetime. Despite the suffering he experienced, he was a bright and active child. His upbeat and happy demeanor brought joy to many. While in the hospital, he would entertain nurses by singing songs from his favorite cartoon movies. Then Chris would walk down the hall to visit friends and encourage them in their own recoveries. But as he's grown and become more aware of the differences between himself and others, Chris has struggled to stay positive. The medical regimen required to keep him alive and relatively healthy is very tiresome. He doesn't know anyone else with the same conditions and has always felt tremendously isolated. Please join us in spreading cheer + hope to Chris as he struggles with believing he is valuable. The following letter requests were hand-picked by our team. You have until the listed deadline to read the stories, script a few letters, and drop them in the mailbox for the listed addresses below. At the time of deadline, all the love letters will be bundled up and delivered, topped with a note from the MLL team. We sincerely hope you'll script beside us. If you'd like to write a letter for one of the December Letter Requests follow the link above.